If you have an event planned for Yate in Gloucestershire and you are a little unsure as to what to do for the catering than make sure you make it a hog roast Yate event. At Hog Roast Yate we know just how to cater for that special event or long awaited wedding. Whatever the location and whatever the size, our professional and friendly team know just what is required to make your already great day even more magical. Making it a hog roast Yate event will really lift it to another level and make all your guests wonder why every event they attend cannot be this well catered for. The Hog Roast menus feature everything that you could you possibly want including our legendary pig in a bun menus, pig salads and potatoes to delicious starters, mains and superb desserts to die for. You’ll even find our five course menus have everything you could possibly want from canapes through to the usual coffee tea and mints. Book a hog roast hire Yate event and you’ll be left wanting nothing! Hog roast hire Yate of course means that our specialised machines can be hired together with a gas bottle and the necessary instructions which of course we will run through with you. If you want we can supply you a great quality locally sourced pig for your machine. The team at Hog Roast Yate have of course been providing a top class service for many years and we know exactly what a great event requires, and that means that we can supply all you need with the hog roast menu including the crockery, the tables, chairs, the linen and all the other essential hireable items. 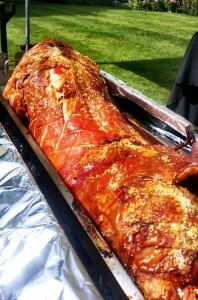 In fact, if it’s on the menu then hog roast caterer can supply it. 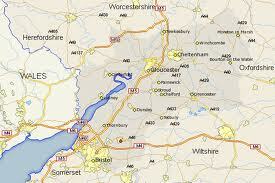 It doesn’t matter where you are located in the South West, we cover the whole of the region and beyond if you need us to! And don’t go thinking that we are going to send in amateurs to help with your event. The Hog Roast Yate team are a crack team of professionals who offer a first class and highly professional service at every event they attend. You probably have lots of questions about the services we offer and of course you may want to get a quotation so we would love to hear from you to discuss this a little further and hopefully we can answer all your questions. Our office is fully operational on weekdays between 9 and 5 and we will be happy to help with all your questions, so please have some details about your event ready when you get in touch. And don’t forget, we can tailor our menus specifically to your event for that really special and personal touch. Don’t put off sorting out the catering for that special event. You can either pick up the phone and speak to one of the friendly team or complete the form above. We really look forward to hearing from you.